Like its partner book ("Volume 1. 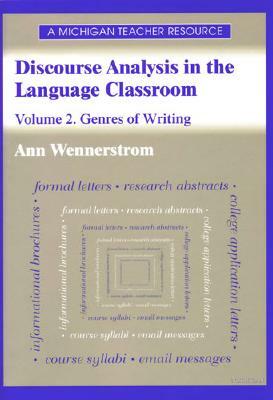 The Spoken Language"), "Discourse Analysis in the Language Classroom" is highly practical. It gives step-by-step instructions for how to design a discourse-based curriculum, how to adapt existing materials, and how to create new activities. It can also be used to stimulate further research and discussion: it explains the rationale behind a discourse-analysis approach and the foundations of genre theory, including discussion questions for each topic and an annotated bibliography of related work.